The name “Jesus Christ” comes from the Greek name Iēsous Christos, which means Jesus the Messiah. Jesus (Yeshua‘) was the long-awaited Messiah sent by God to save His people. The Jews expected the Messiah to come just for them; Jesus came to save the entire world. 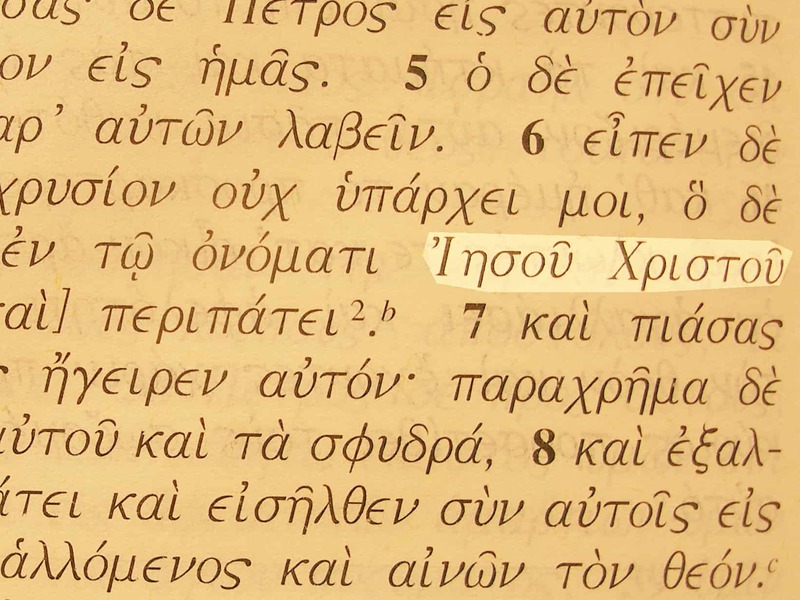 The fact that we remember this name of Jesus from its Greek form is appropriate because in those days Greek was a major language of the known world. 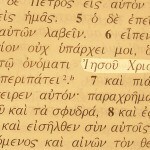 Jesus Christ in the Greek text of Acts 3:6. Bible references: Only four times in the Gospels: Matt.1:1; Mark 1:1; John 1:17; 17:3 but 70 times in the rest of the New Testament.